Depending on the type of business you’re running, you might need a way to display WooCommerce private products on your website. Having a private, hidden section on your online store makes it easy to sell customer-specific products and/or keep private products hidden from the public. The problem is that, by default, it’s not possible to password protect categories or make them private in WooCommerce. In this article, we’ll show you how to create WooCommerce private products using the WooCommerce Protected Categories plugin. We’ll take a look at how you can add protected categories and private categories, which automatically protect all the products inside. You’ll learn how to make products private through password protection. You’ll also discover how to restrict them to specific logged in users or roles. Let’s begin by covering some of the key benefits of having a private products section on your WooCommerce website. What are the benefits of having WooCommerce private products? You can use WooCommerce to sell private products that are unique to individual customers. It’s also possible to create a hidden area containing private products that are invisible from your public store. Many types of WordPress website can benefit from being able to sell private products to specific customers only. Next, I’ll share some examples of businesses that need to sell customer-specific products, or create a hidden store area for logged in users only. Photographers. Photographers often need to upload albums from a photoshoot to a private online photo gallery. This makes it easy to share private photos with the client, for example after private events such as weddings and baby showers. Clients can let choose and order the photos they’d like to purchase. It’s important to keep these WooCommerce products private and hidden from public view. Wholesale products. If any of your products are available for the B2B market only, then you’ll need a private wholesale area. Even if you sell the same products to wholesale and public users, you need private wholesale products with discounted pricing. Manufacturers and vendors. Manufacturers and vendors might consider creating private online stores for each of the companies they serve. Clients can place orders for products that are specific to them, such as branded goods. Service-based businesses. Online service businesses often charge different rates to each client depending on the services they’ve opted for. Selling services as WooCommerce private products makes this easy to execute. Members-only store. 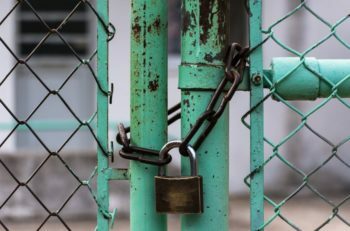 If you have a WooCommerce members only store that is not available to the public, then you’ll need a global way to make all your products private. Age restricted store. If you’re selling products or services designed for adults then you’d likely want an easy way to prevent underage visitors from viewing content. For example, this might include tobacco, alcohol, or adult competitions/products. Setting up a private area within WooCommerce can help you achieve this. Now we understand what WooCommerce private products are and why you need them. Next you’ll learn how to set it up on your own WordPress website. WooCommerce Protected Categories is a WordPress plugin that lets you create WooCommerce private products in your online store. 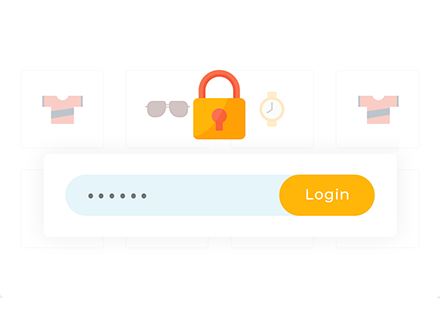 Specifically, you can password protect categories in WooCommerce or restrict certain categories to specific logged in users or entire user roles. The standout feature of WooCommerce Protected Categories is that when you add privacy settings to a category, all its products are automatically hidden under the same protection. This is much easier than editing each product individually. 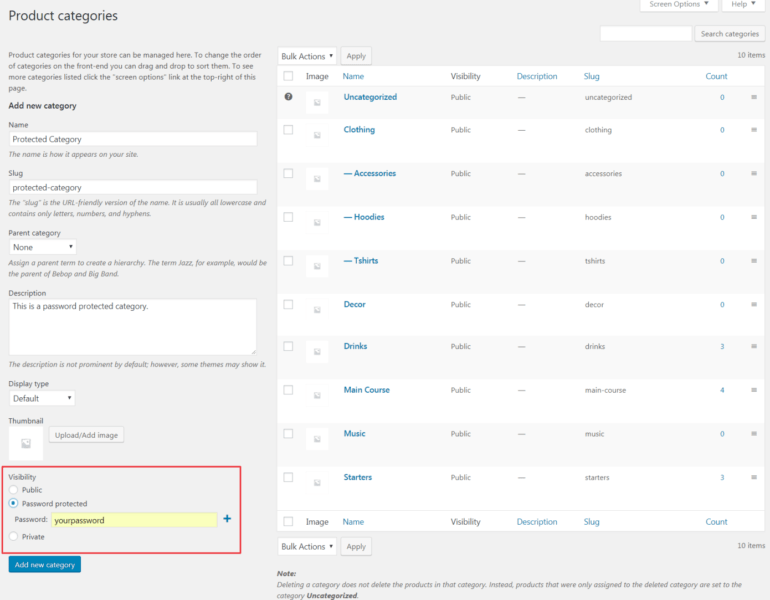 After you install and activate the plugin, some new visibility options will be added to your WooCommerce Categories page. It’s similar to how WordPress lets you password protect individual pages and posts except that you’re able to password protect entire WooCommerce categories. Depending on how you set it up, visitors must either enter a password or log into their user account access the private category and its products. So, for instance, if you wanted to let subscribers view a particular category on your website, you could use the WooCommerce Protected Categories WordPress plugin to achieve this. Sell customer-specific products by keeping private products hidden from the public! Create a password protected category. Add a category that only specific logged in users can see, based on their role. Create a category that only individual logged in users can see, who you have given access to the category. In the next section, we’ll explore each method and show you how to set them up. The plugin lets you add a single password or multiple passwords for each private WooCommerce category. Assigning multiple passwords to a category means that you can grant different people access to the category. You can do this by sharing unique passwords with each customer, instead of sharing a single password between different users. With the WooCommerce Protected Categories plugin, you can create one or more password protected categories. Once that’s done, you can add all the private products to this category. Next, you will share the category’s password with whichever customers you’d like to grant access to. One they enters the password onto the category login page, they’ll be able to view the WooCommerce private products within that category (and any sub-categories). With this method, you can give customers and clients a link to their specific category page along with a single password to access it. Or if you prefer, you can create a central login page which will automatically direct people to the correct private WooCommerce product category, based on the password entered. Head over to Products > Categories in the WordPress admin panel. Add a new category that you’d like to protect (or edit an existing one). In the Visibility section, select the Password protected option. Set a password using the Password text field. Click the (+) icon to add multiple passwords, if needed. Click the Add new category button. Add or edit products via the Products section of the WordPress admin. Put the private products in your password protected category. Do not edit the privacy settings for each individual product, as this happens automatically by adding them to the category. Repeat these steps to add as many password protected product categories as you’d like. By doing so, you’ll be able to make WooCommerce private products for your online store. You can also add sub-categories to your password protected categories. Leave the sub-categories ‘Public’, as they’ll automatically be protected with the same password. The WooCommerce Protected Categories plugin also lets you create private categories that only specific logged in users or user roles can see. You create a private category and add all of the products you’d like to make private to this category. Users log into their account on your online store to view all of these WooCommerce private products. 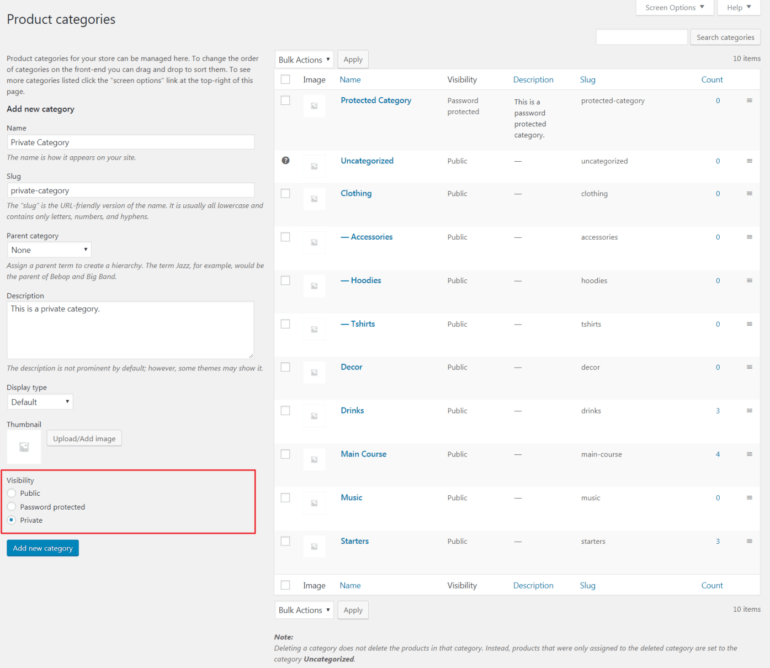 First, head over to Products > Categories from the WordPress admin panel. Add a new category that you’d like to protect. In the Visibility section, select Protected. Choose the Users or User Roles options, and select who can access them. Click the Add new category button to proceed. Finally, add or edit products and add them to the private category you just created. Tip: Some WP sites like to create a dedicated user role which can access their private WooCommerce products. For example, if you’re creating a WooCommerce wholesale store then you might need a separate ‘wholesale’ user role who can access the private B2B area. You can easily do this by installing the free User Role Editor plugin. Clone the ‘Customer’ role to create a new ‘Wholesale’ role. Create private WooCommerce wholesale products by restricting the wholesale category to this user role. WooCommerce Protected Categories makes it easy to create a public-facing store alongside hidden, customer-specific categories. If you’d like to create a private section in WooCommerce that customers can unlock simply by entering a password, we’d recommend creating a password protected category. However, if you’ve already registered users on your WooCommerce store (such as suppliers, vendors, or distributors) then we’d recommend creating a user or role protected category. 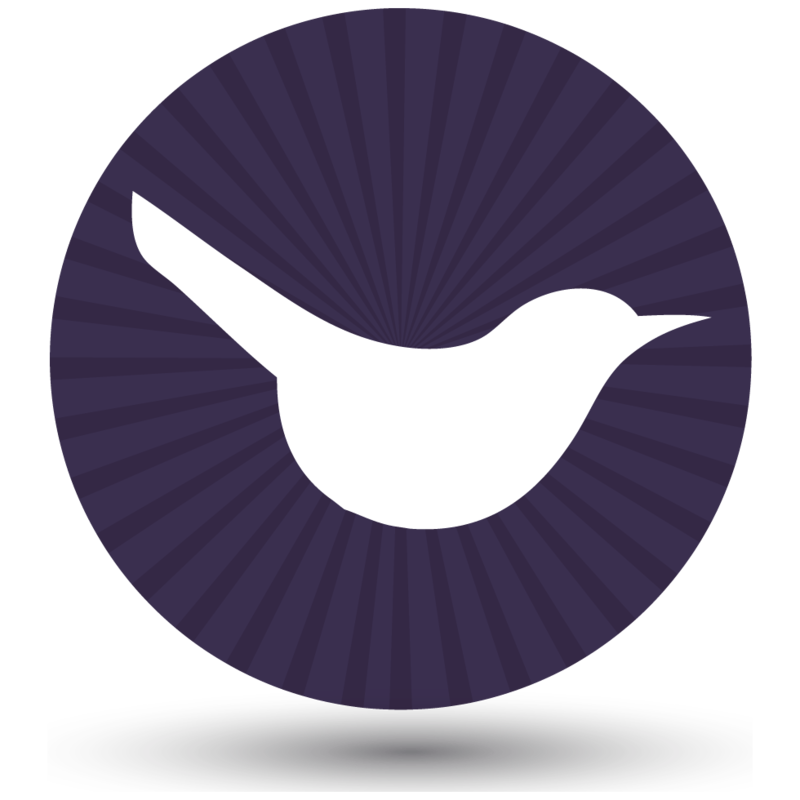 This will give them exclusive access to private areas on your WooCommerce store, without needing a separate password. Create hidden areas within WooCommerce by hiding private products from public view! If you’d rather protect your entire online store, be sure to check out the WooCommerce Private Store plugin. This lets you hide all the shop-related parts of your website, while keeping the rest of the site public. Are you thinking of setting up WooCommerce private products in your online store? If so, we’d love to know what type of online store you’re running and which method works best for you. Please leave a comment below!